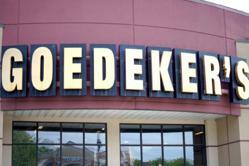 Online appliance and furniture retailer, Goedeker’s email newsletters are now easily viewable on mobile devices. Mobile devices are everywhere these days and checking email on them has become standard practice. Noting this trend, Goedeker’s has made all email newsletters mobile friendly. To see examples of Goedeker’s newsletter or to subscribe, visit Goedeker’s HomeLife blog.